The fabulous Jen Goode with 100 Directions is back again this month with a free printable for y’all. 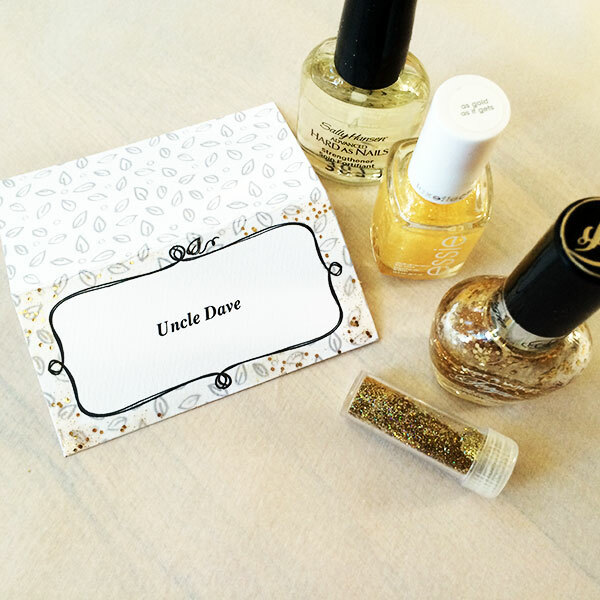 This time she has made a printable place card that you can customize with your own words. I love that! Download the cards below, add words, and even a little paint! 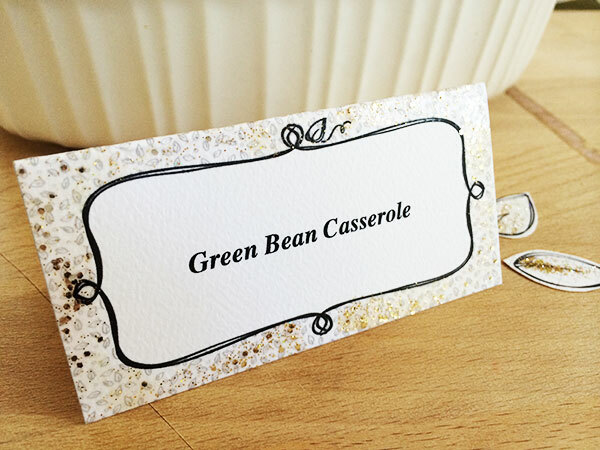 Whether you are decorating your table or a labeling items on a dinner buffet, Thanksgiving place cards are a really nice detail you can make easily. 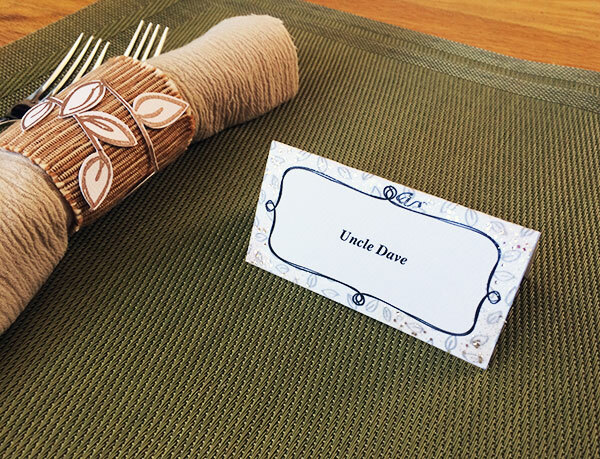 When you are creating your table place settings, add a little name card to each setting to personalize your decor. If you don’t want to tell everyone where to sit, you could also use a name card to leave an inspiring quote or thoughtful message. Today I’m sharing a free place card printable you can use to add a personal detail to your Thanksgiving gathering. 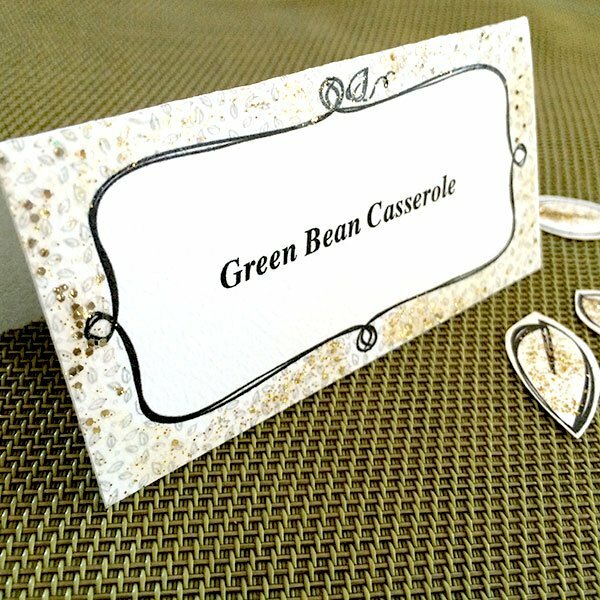 These place cards are designed in black and white so you can print them on any color paper you want. You could even print them on a patterned paper if you would like. I printed these examples on a nice, thick cardstock and then added my own glitter. I couldn’t find my craft glitter glue so I decided to use gold glitter nail polish to add the sparkle. i use glitter nail polish to add glitter! There’s a couple ways you can do this too. Either use a glitter polish, or use a clear polish with a dry glitter you sprinkle on the wet polish. I like using the nail polish in my crafts because it adds a nice shine to an otherwise flat card stock… I think it dresses up the piece a bit. (MY husband doesn’t know I added glitter to his name… shhh!). The printable includes 6 mini leaves you can also cut out and use as big confetti or to decorate your place cards. If you open the PDF file using Adobe Reader, you can also customize the words using an actual font right on your computer! I hope you enjoy them! A huge thank you as always to Jen for hanging out with us every month. Be sure to follow along with 100 Directions so you don’t miss anything that this talented lady does!